We don’t actually call this polenta grits since we lived in the South but are not natives of the South. This is a very tasty dish but John and I need to come to some sort of understanding about spiciness. He asked me to put a chile in the broccolini and I did. But he also put black pepper in the polenta and spicy paprika on the shrimp. So this dinner tasted like various shades of hot to me – spicy hot from the chile and the paprika and burning hot from the black pepper. He thought it was great while I kept sneezing and clearing my throat as I ate. 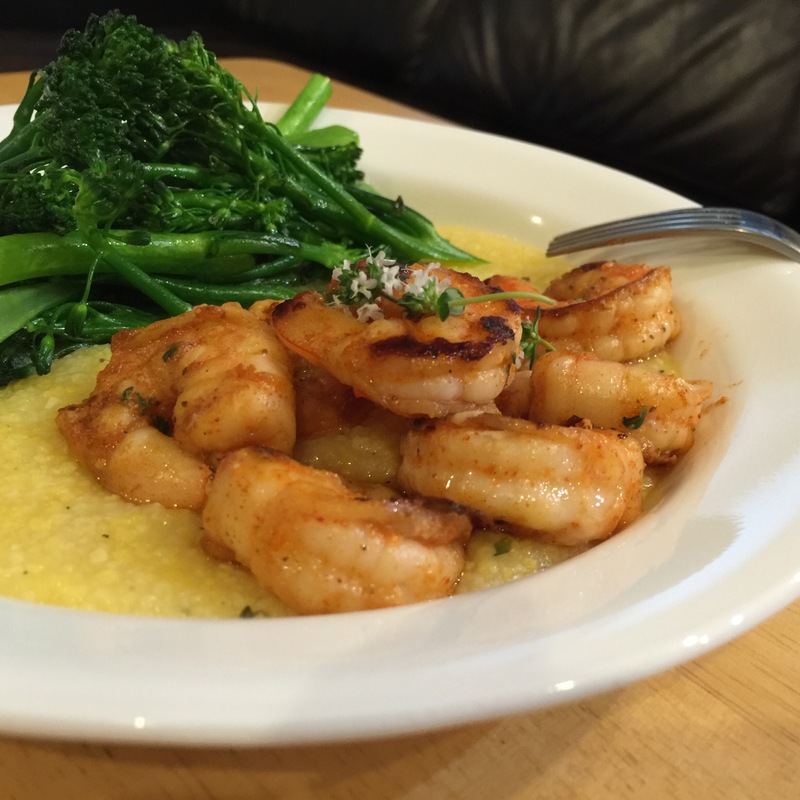 This entry was posted in Shellfish, Vegetables and tagged broccolini, polenta, shrimp. Bookmark the permalink.